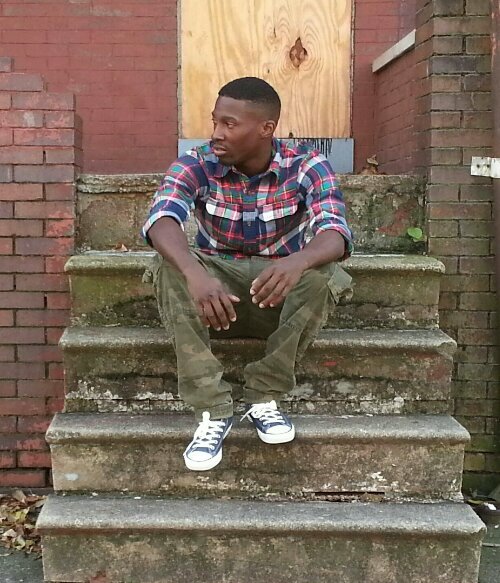 Look who got featured: Baltimore’s own Shussh brings hood to reality! Cobey Williams better known as “Shussh” is a Baltimore Native who is all too familiar with the rough streets of this city. Like many Baltimoreans growing up, he grew up in a single parent home. Although he grew up without a male figure to pave the way he didn’t let it detour him from from his dreams and aspirations. Shussh was always in to music, fashion, and the arts. He started to pursue rapping and writing music at age 12, and proceeded in recording with a local label “Baltimore’s nest”which was a collection of some of the best young talent in the city and experienced a split just years after. At the age of 15, Shussh got tangled in the street life and began hustling to support himself and his music career and eventually dropped out of school. With no luck or progress he returned to school to receive his diploma and start college. What a huge turn around! He continued to write and record music and in 2010 went to join “Baltimore breed” with partners Fam clique. Soon after he landed his first major mixtape slot on Dj roughandz’s ‘The Edge of Darkness’ with a plethora of live shows showcasing his one of a kind stage presence, unique style, sound and voice. Shussh sums up his music as a mixture of “complete honesty and overt exaggerations.” This past October, he released his album “3” named after his new persona ‘Shussh Loui 3’ on mixtape site, Datpiff.com. You can tell he has a story to tell and all he needs you to do is listen! Watch “Hatin’ “ in the video above which I believe many can relate to because I could! Good sh*t.
Would you rather hear female or male R&B? Tell us why! Uncommonrealist would like to wish actor, Denzel Washington a Happy 59th Birthday! Shussh doing it…I keep telling you to keep up the good work…Rise on !!! !